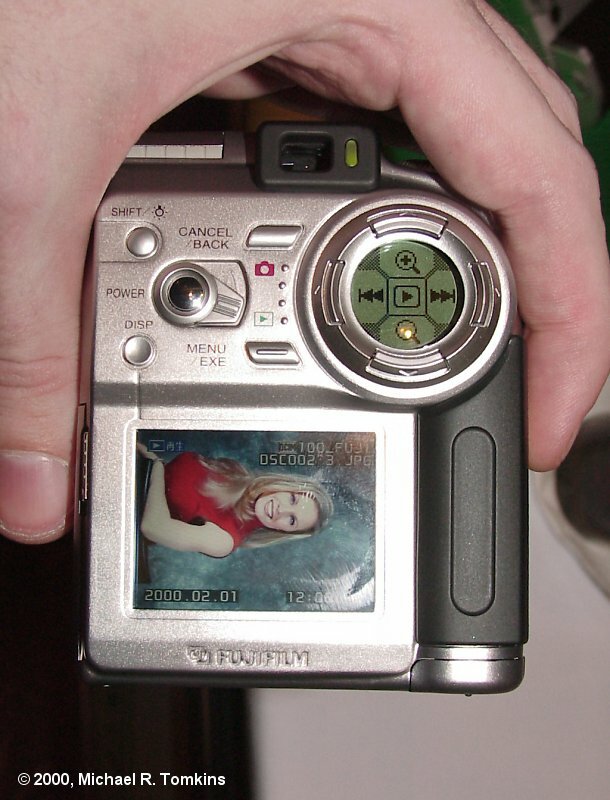 Click for a bigger picture! 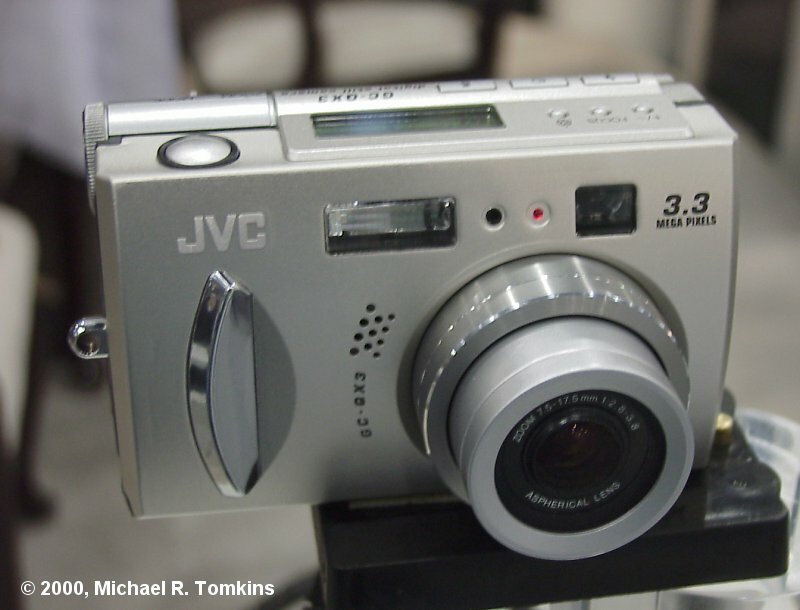 Mike Pasini promised you last night that we'd get you more information on the JVC QC-GX3, and get more we did... We've got several pictures of the camera, as well as the full details - and for the $899 price we were quoted (and a planned ship date of the end of this month) this looks like a superb little camera! 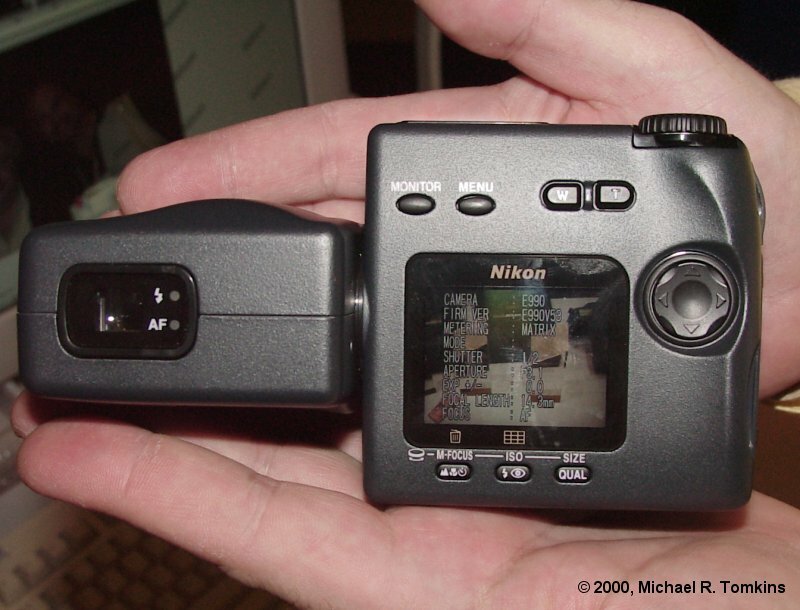 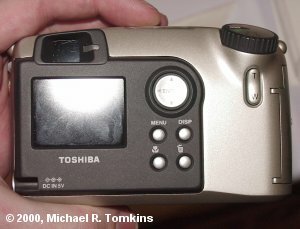 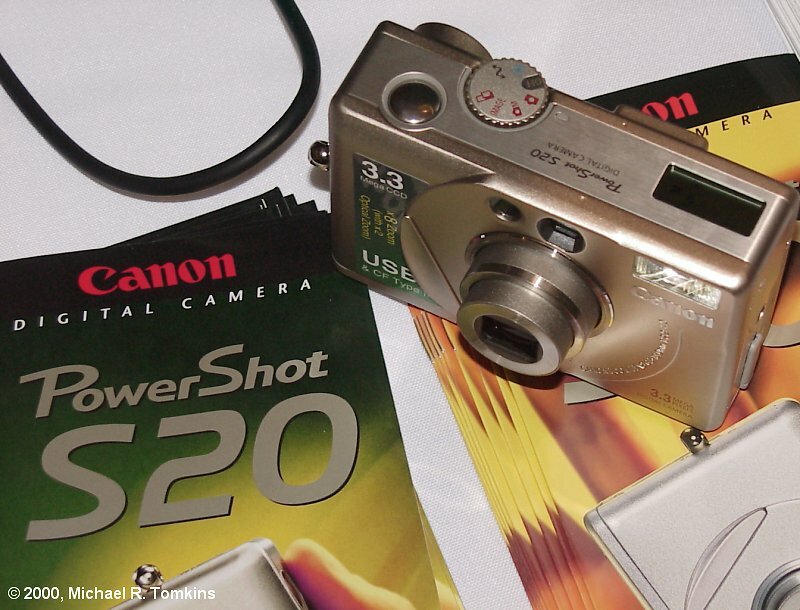 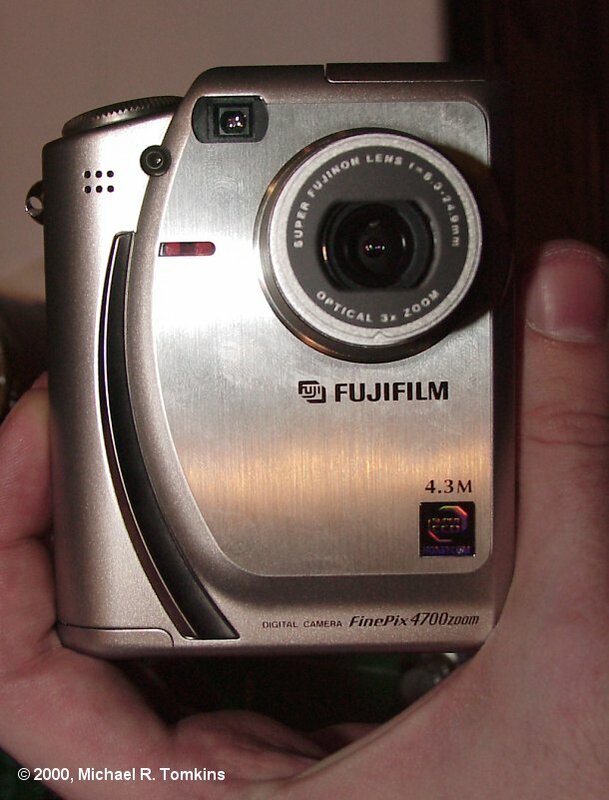 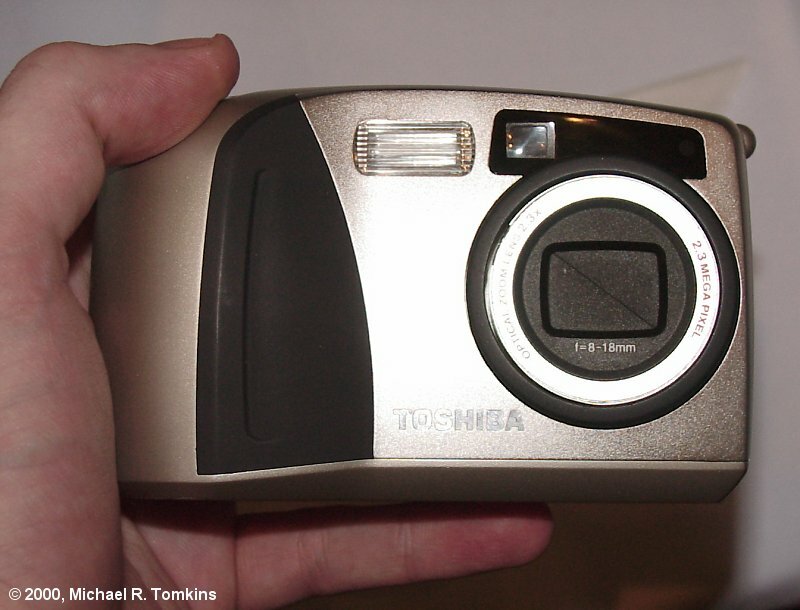 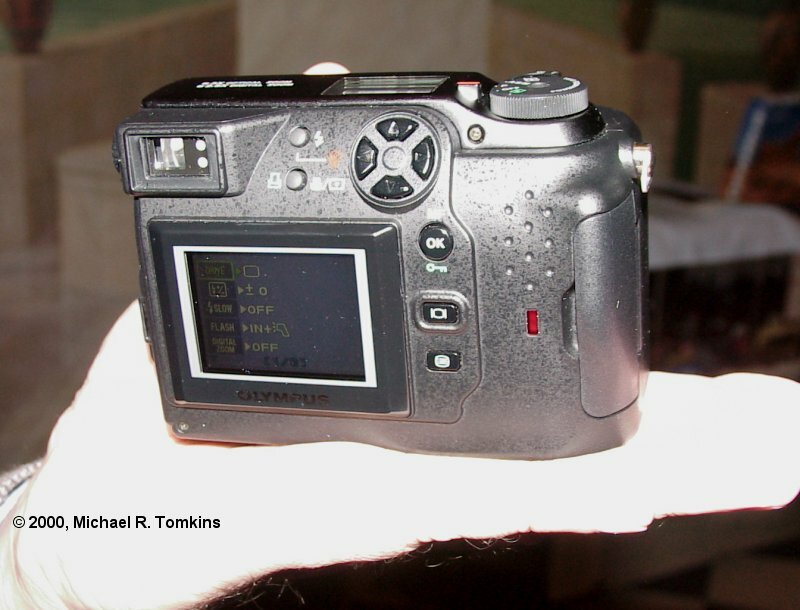 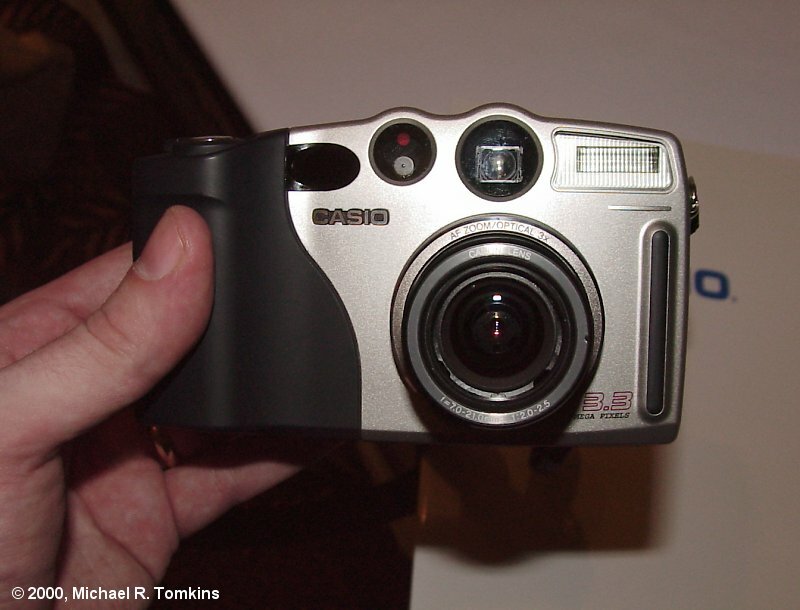 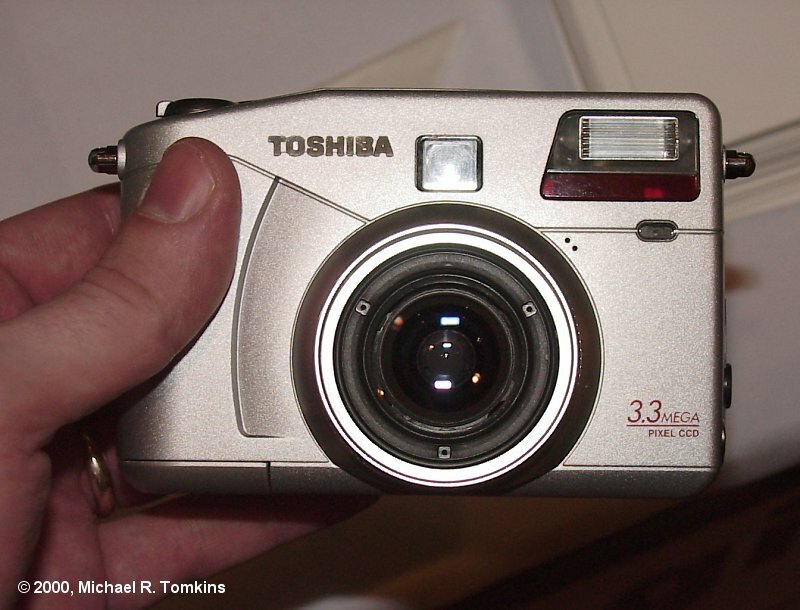 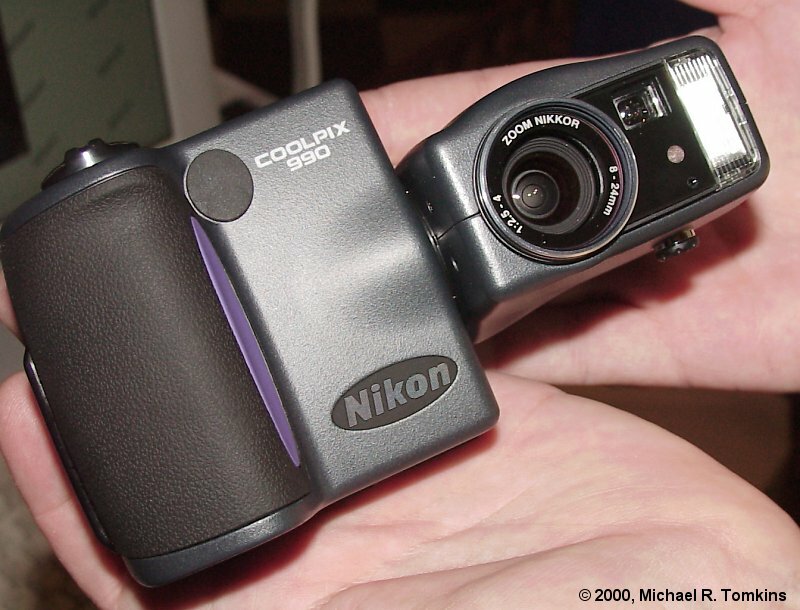 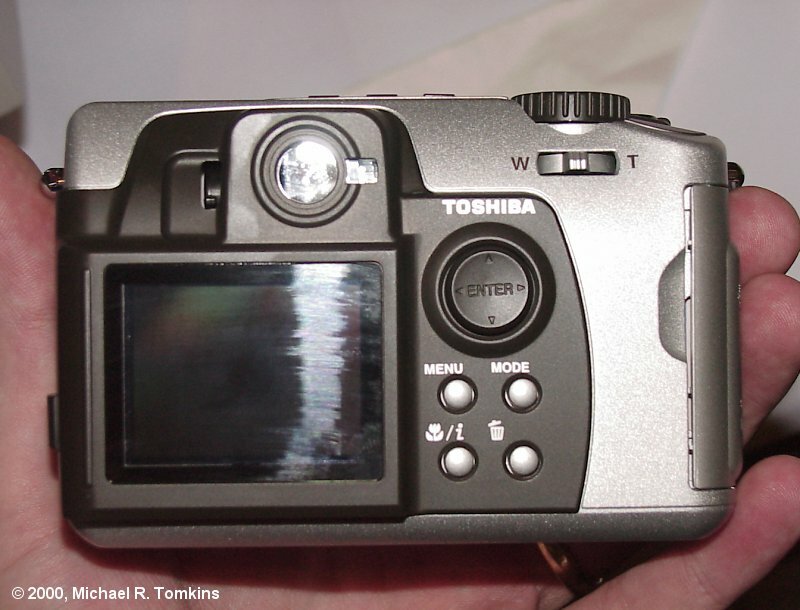 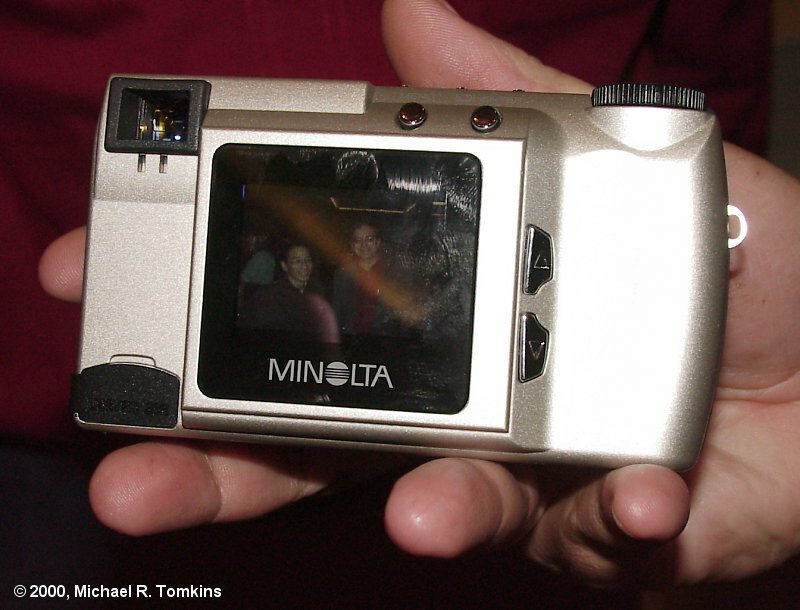 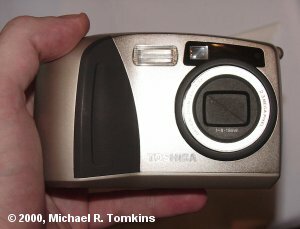 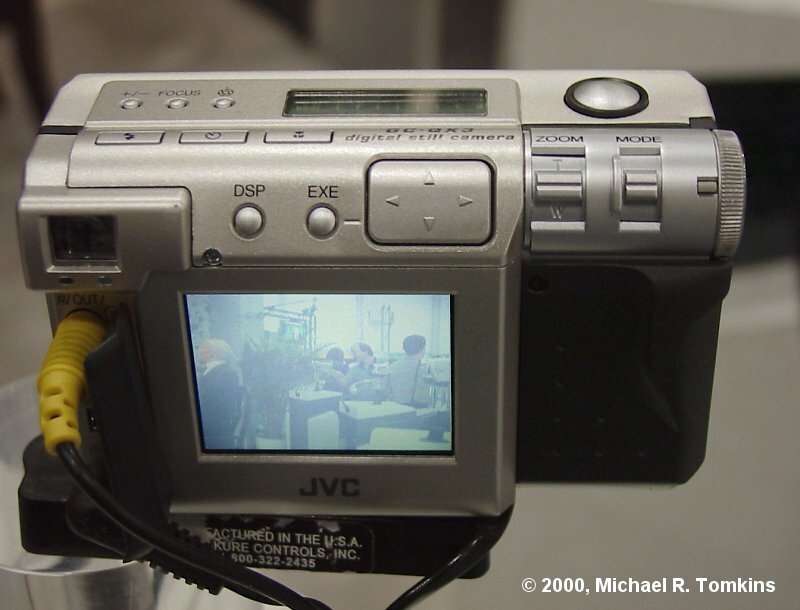 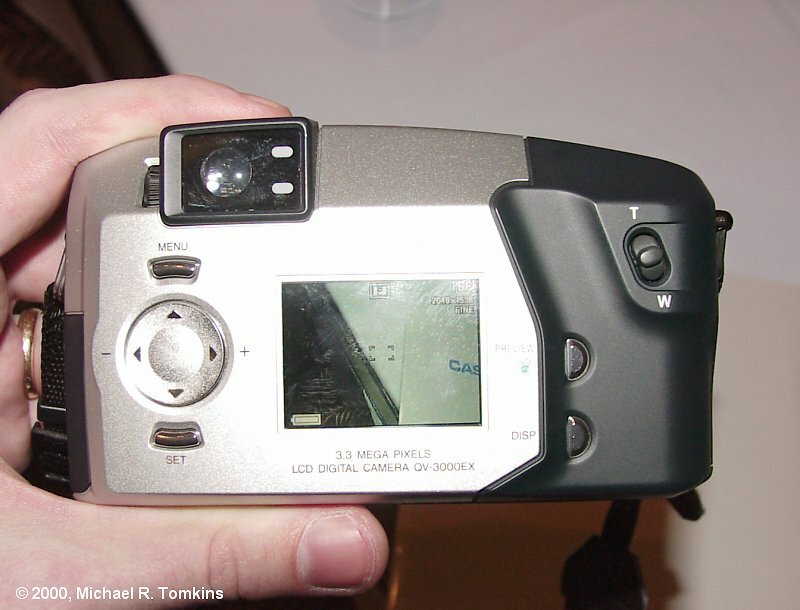 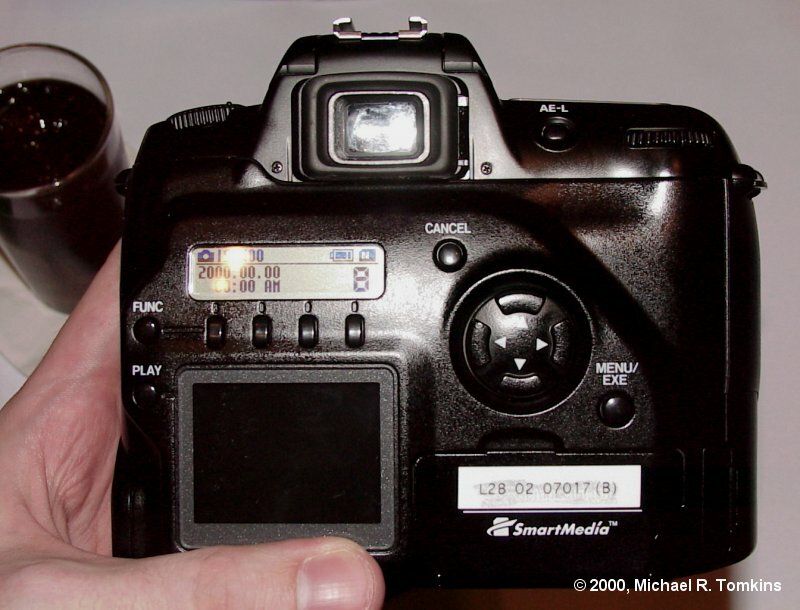 The model we played with was very much developmental - nothing operated on it other than the power, shutter button and zoom - but the feature set is impressive to say the least, including several features we've not seen on any other comparable consumer digicam! Next comes the "NR Pro-Still". 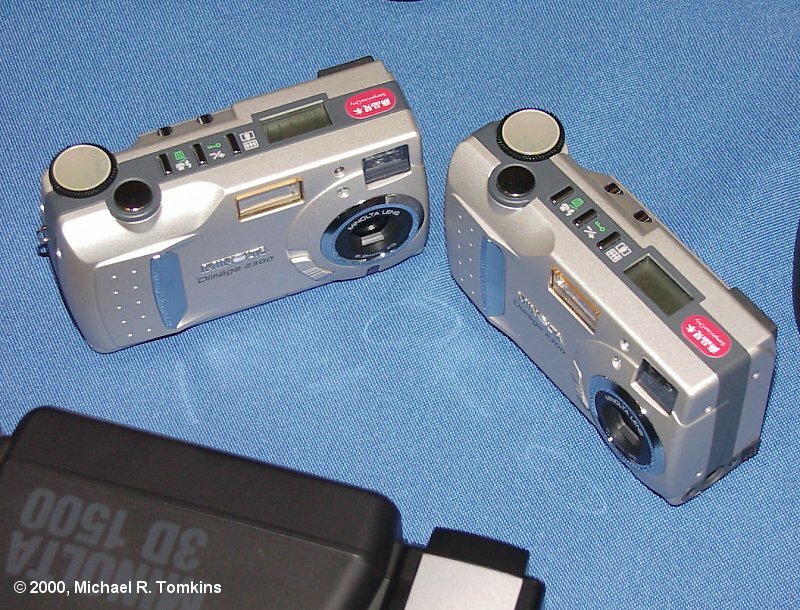 This takes multiple exposures (no note of how many) and uses the data to cancel out random noise components of the pictures, raising the signal to noise ratio by 18 dB! 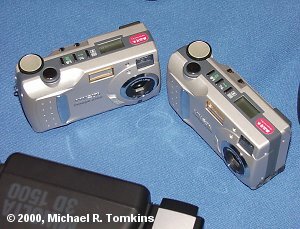 Finally, the "DR Pro-Still" takes two pictures, one bright and one dark. It then merges the two, creating a final image with triple the dynamic range, giving a range that JVC says approaches film quality. Obviously all these require stationary subjects, but as options on a camera (rather than the standard way it works)l, we think they sound great! 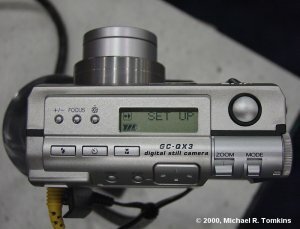 The press kit notes that the QC-GX3 also has a burst mode capable of only one second between shots in all resolutions (although at the highest resolution, this is only for the first two shots)... 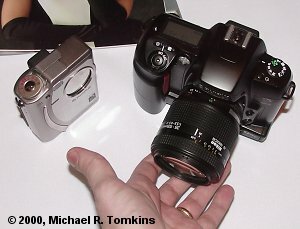 The zoom lens is equivalent to a 37-86mm zoom on a 35mm camera, and features 2 aspherical glass lenses. 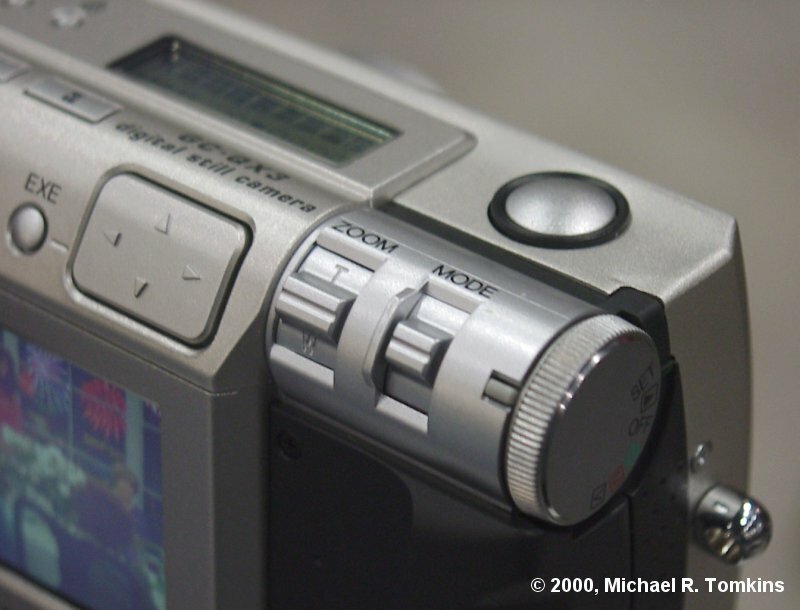 The built-in LCD display has a refresh rate of 30 frames per second, for smooth panning... The built-in flash features red eye reduction, and can be fired manually for fill-in flash. 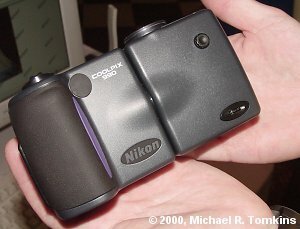 It will also automatically fire when needed. The autofocusing system of the QC-GX3 can be set in either AF-S mode to lock in on a single focal point, or AF-C mode for continuous adjustment. The camera can also be focused manually, with a choice of fully manual adjustment, fixed 2.4 meter and infinity settings. 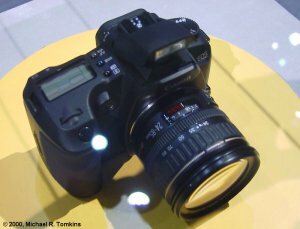 It can also be set in either Program AE (fully automatic) or Aperture Priority AE modes, with a choice of multi or spot metering. 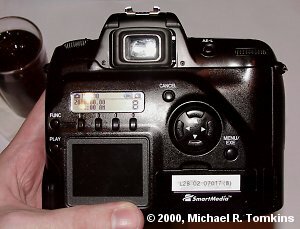 The camera features an aluminum chassis with a carbon-fiber reinforced polymer back, and features a very unique control system which, in our brief trial of the camera, we liked. The mode dial might look odd on the side of the camera, but falls naturally under the thumb... JVC's booth staff told us the idea came from their video cameras, which feature a similar mode dial. 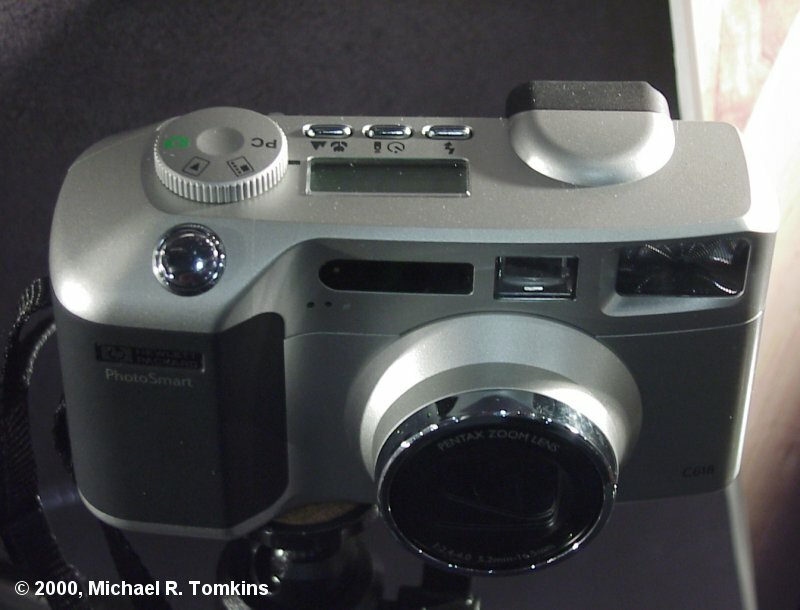 Finally, the QC-GX3 features video output connectivity, as well as a special connector for high-speed printing to the GV-SP2 printer, which offers 310dpi prints. 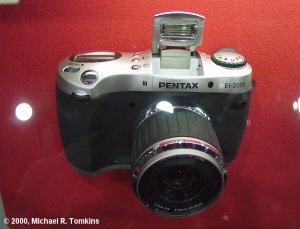 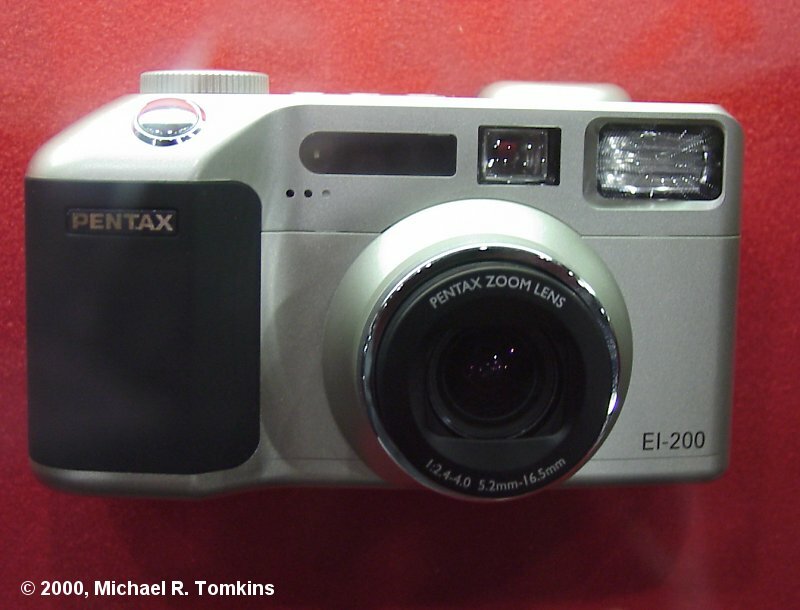 Sadly, both manufacturers were keeping their digital cameras behind glass, and being tight-lipped about pricing and features (the HP rep did, however, confirm that they're planned for a "late summer" release, and the Pentax booth quoted image sizes of 1600 x 1280 or 800 x 640 from the EI-2000, and 1600 x 1200 or 800 x 600 from the EI-200). 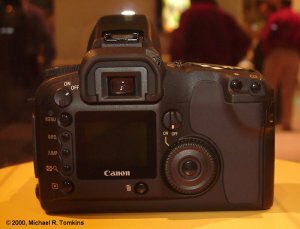 Canon USA has today shown its EOS digital SLR for the first time at the PMA Show in Las Vegas - and we have the first pictures on the web of it for you! 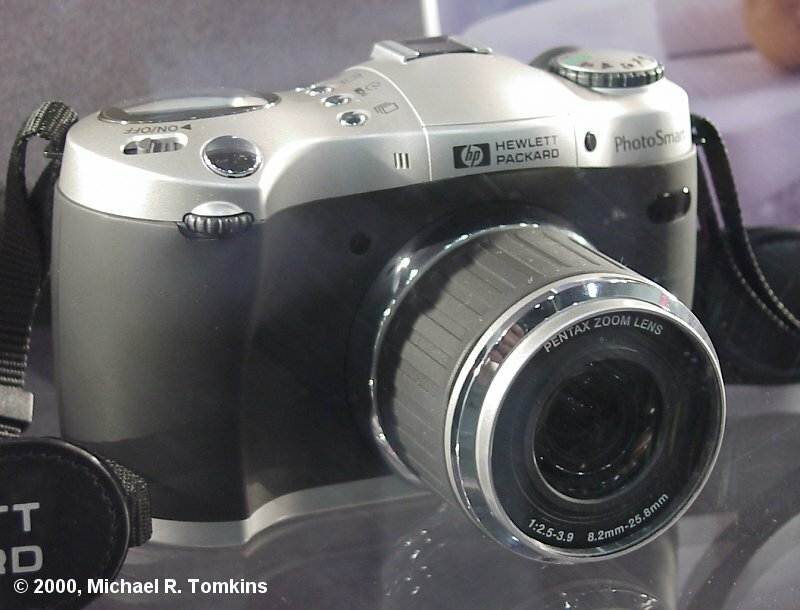 Mike and Dave spent their first evening in Las Vegas on the prowl at the Digital Focus event, a separate show targetted at press and analysts, and concentrating solely on digital camera-related hardware and software... What did we see? A lot - check out the list and photos below! There's no question that the QV-3000EX has personality, and lots of it - the two protrusions on the front top of the camera give it almost a cartoonish face... More importantly though, the QV-3000EX seemed to fit Mike's (rather large) hands very comfortably, something that can be a bit uncommon, particularly with the Japanese models which invariably are designed for something other than lanky Europeans... 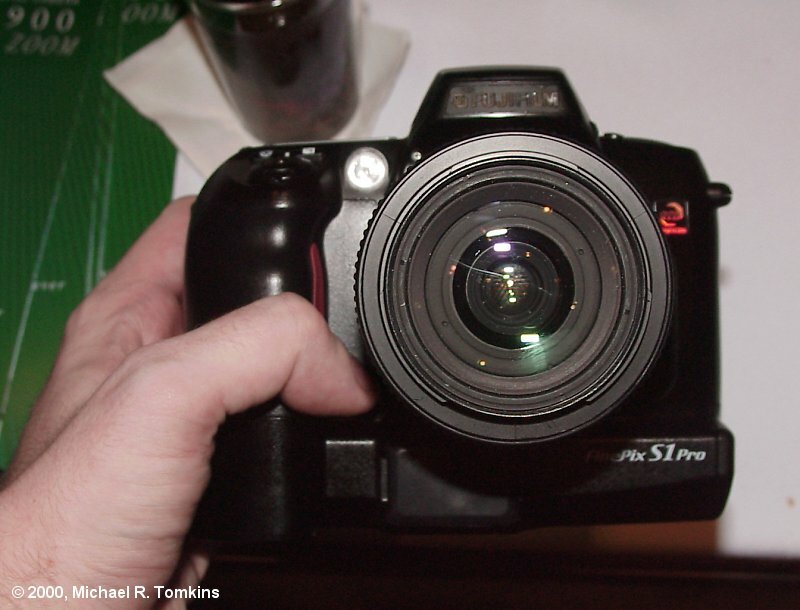 The large quantity of rubber on the camera helps give it a secure feeling, at least in my hands! 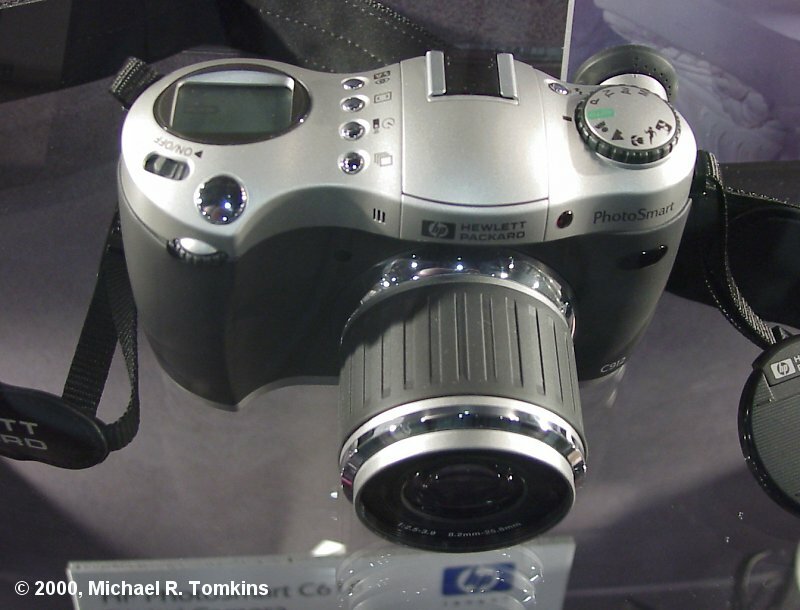 The FinePix 4700 really seemed to be very well thought out, with a nice combination of speed, and a great interface... (We particularly liked the use of the LCD in the control system, which with the backlighting makes for a camera that should be easy to use, in most conditions...) The S1 Pro too had great backlighting on its LCD data display, something that too many digital cameras lack... We'd like to see other manufacturers pick this up too - the data LCDs are great for saving power instead of using that hungry LCD viewfinder, so why not make it so we can use them in any conditions? Thanks, Fuji! Nikon were, of course, showing their Coolpix 990, announced recently... Mike has to say, this is one very nice camera - I found the control layout to be very intuitive indeed, and it was really FAST! I didn't have long to play with this camera, but whilst I did, I really found it fun and "camera-like" to use - and the histogram feature was a real bonus... Hopefully I'll get a little longer to try the Coolpix 990 out in the next couple of days. 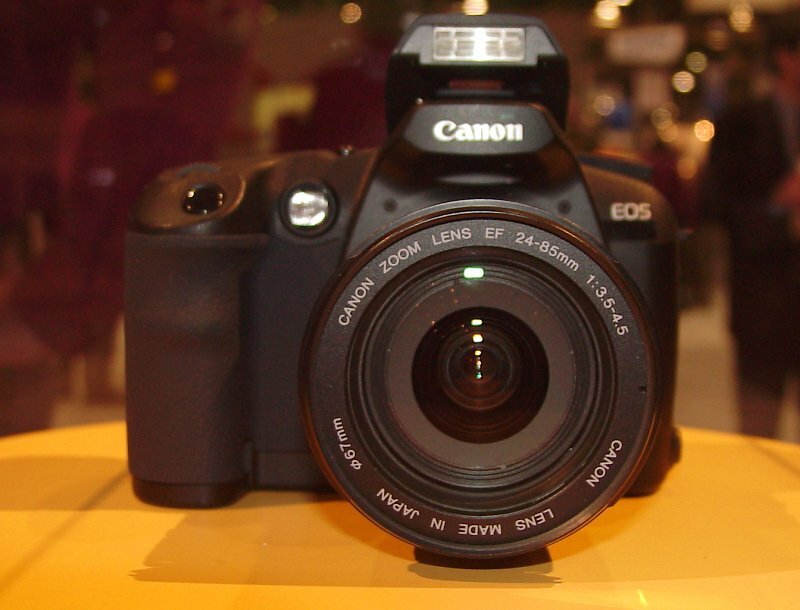 We're only on the first day of PMA (well - technically, it doesn't actually start until 10am today!) but already we've seen many new and exciting digital cameras... Mike's pick of what he saw at Digital Focus would have to be the Fuji FinePix 4700 Zoom, for its very clever user interface (plus the "coolness" quotient of turning on your camera to be cheerfully greeted by it on the LCD display)... 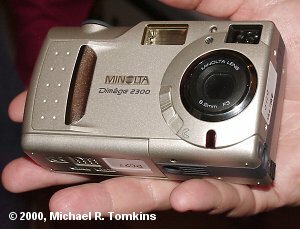 Seriously though, every camera we saw there has the chance of being a contender over the next few months, and we're greatly looking forward to getting as many as possible of them in-house for the "Dave" reviewing treatment. 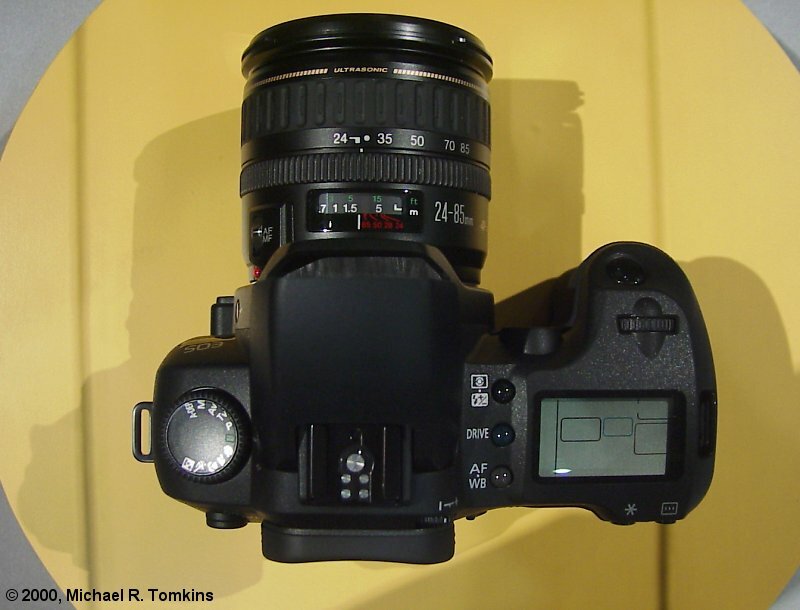 Days like Digital Focus make our job worthwhile! 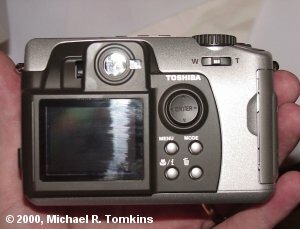 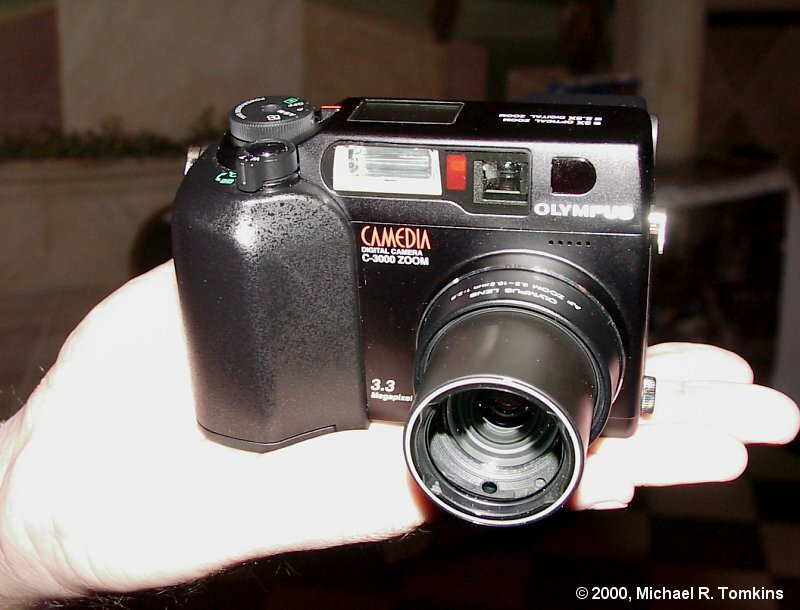 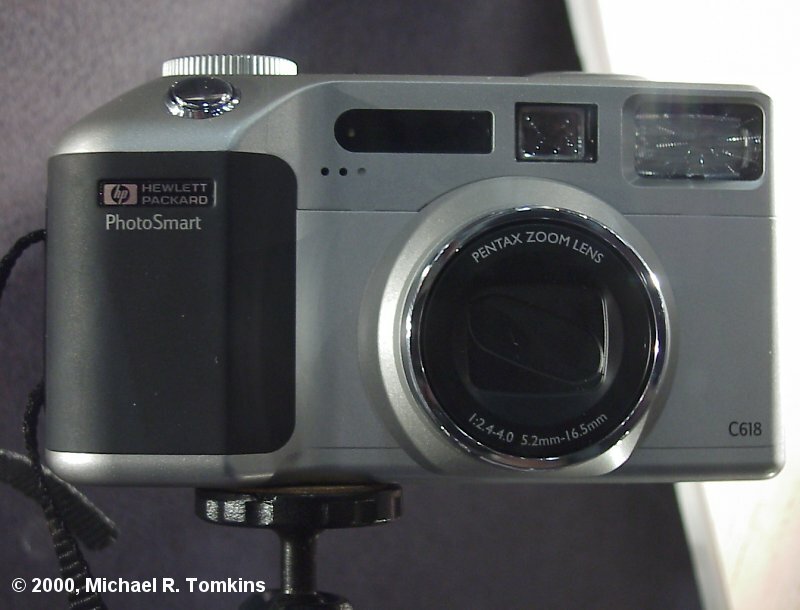 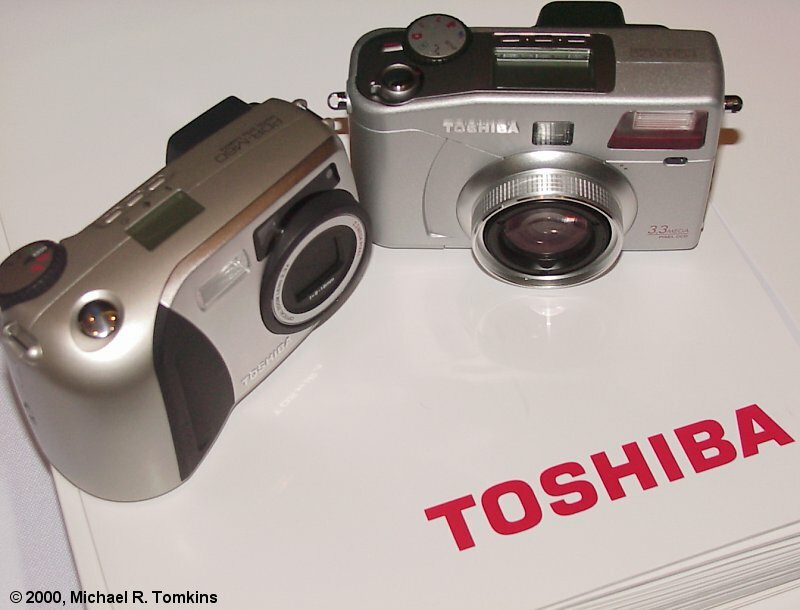 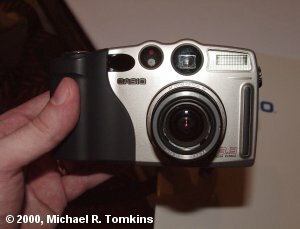 Note: The photographs in this item are of mock-up models of these cameras shown at the Digital Focus event in Las Vegas. 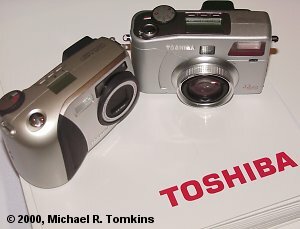 Whilst they should be substantially similar to the final shipping cameras, there may be some differences!